experiences, such as a strong current running through the upper body. Sleep paralysis poses no immediate risk to those who experience it, and it lasts from several seconds to several minutes. Have you been experiencing all these??? Well, here’s 11 facts we got for you that will keep your head straight! …But it’s most common among young adults and people with a history of mental illness. …But just try telling that to someone who has sleep paralysis. It feels kind of like you woke up dead. And it’s way more complicated than a nightmare. relax and go into almost a state of paralysis, which is called atonia. mind remains asleep, which is why people can sometimes do crazy things in their sleep and be totally unaware of it. It happens when you’re falling asleep or waking up. called hypnopompic, Breus explains. Unfortunately, why the body can’t transition smoothly is still unknown. 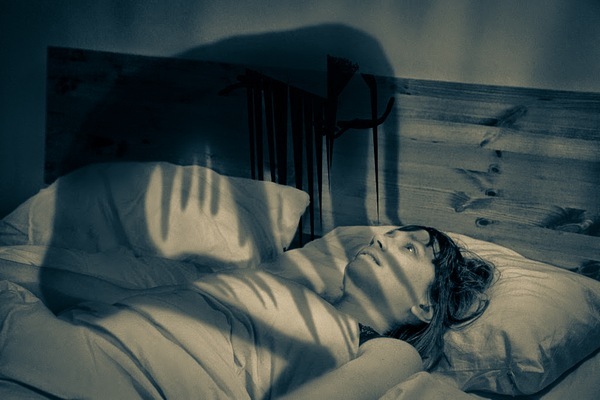 Sleep paralysis can involve hallucinations. You can’t just wake yourself up. facial muscles, which helps them wake up the rest of their body. Sleep paralysis is actually a natural occurrence and can happen to anyone. individual and rarely the same experience for everyone. It’s probably related to being sleep deprived. experience sleep paralysis and other sleep disorders. So avoiding sleep paralysis might be as simple as getting better and longer sleep. gasping for air, which could actually be an undiagnosed sleep disorder. But really, there is no definitive cause. other day or just every once in a while. Seriously, people have been trying to explain this weird phenomenon for centuries. Accounts of sleep paralysis can be found in Persian medical texts dating back to the 10th century. And it probably explains whatever is going on in this very famous Renaissance painting. People have blamed sleep paralysis on everything from witches and UFOs to giant ghost dogs. However, there’s really no evidence that it’ll kill you. disorder. Sufferers share their frightening experiences in countless YouTube videos, Reddit threads, and sleep paralysis websites.